From time to time, I get inspired by a philosophical concept, as opposed to a legal occurrence, that emboldens me to write more generally about trends in the workplace. See, for example, my post on "Forgiveness in the Workplace." Lately, I have noticed how rarely praise occurs in the workplace and the dire consequences this lack creates. It’s not just in the workplace, either. All kinds of parenting gurus are warning about the damaging effects of praise on children. Brilliant and conscientious parent friends of mine are telling me that praising your children is considered "bad for them" by the experts. For example, see Po Bronson and Ashley Merryman’s immensely popular book, NurtureShock, which asks parents to rethink how they use praise. However, in digesting these parenting philosophies, many are throwing out the baby with the bathwater. Meaningless praise, or praising someone’s inherent qualities, is not particularly helpful, as NurtureShock admonishes. It’s true that some studies show that doing so can make children focus on continuing to receive praise for their intelligence instead of challenging themselves and being willing to make mistakes. However, that’s as far as the analysis goes. When looking more closely at their critique, it's clear that even these authors say that praise is important -- but praise the effort. 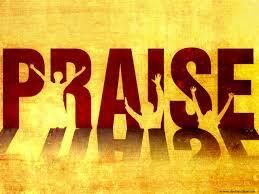 So, praise does remain a critical component of parenting, and, I would argue, of a successful workplace. Adults also need the fundamental reinforcement of knowing the things that they are doing well in order to keep doing them. As a rabid consumer of parenting literature, I consistently read the uniform advice to give kids positive attention for the things we want them to do more of, and ignore or discipline for the things we want them to do less of. Part of the effectiveness of the parenting in my household is the basic way my husband and I try and make life a lot of fun for the kids. Then, when the fun stops due to behavior we don't like, the kids become eager to engage in the good behavior that gets the fun going again. How fun is it to work for an employer or client who appreciates her employees, who tells them that their work is meaningful, that it makes her life easier? If that same employer or client then says they need to give some constructive criticism, the employee is all ears. When, as is too often the case, an employee only hears from his manager about the fact that he's not meeting objectives, it feels demoralizing and, paradoxically, hard to know how seriously to take the feedback. Even more importantly, it's via feedback, some of it positive and some of it negative, that a relationship of trust develops wherein an employee knows she is seen for all that she offers: strengths and weaknesses. Too often, employees tell me that they had no idea they were underperforming. This is because they lack an honest relationship with their superiors (and peers) for giving and receiving feedback. The manager’s feedback doesn't register or, because the manager feels bad about what he has to do, he sugarcoats the criticism in the way that the employee doesn’t understand how serious the problem is. There’s an easy solution to this: giving enough positive feedback so that the manager is not always delivering bad news. Then he has no need to apologize for his criticisms. Unfortunately, so many managers today subscribe to the idea that there’s no need to say anything until there’s a problem. This approach not only lacks compassion, making for less effective leadership, but it also is ineffective because the criticism has no context. Instead, criticism should be part of an ongoing dialogue with the employee that also recognizes her achievements. The difference in her response will astound even the most jaded skeptic.